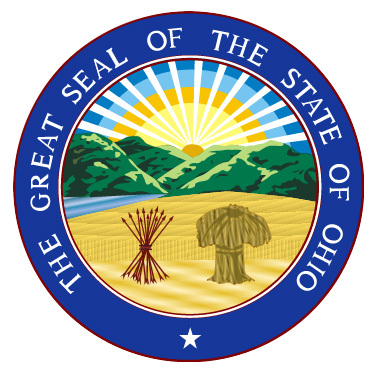 "Seal of Ohio" by State of Ohio / Ohio General Assemblyderivative work: Seal of Ohio.png: author: vector-images.com (rendering by Alexei Ishimov)derivative work: McSush - Seal of Ohio.png. Licensed under Public domain via Wikimedia Commons. In the modern version, the Scioto river flows between cultivated fields and Mount Logan. A rising sun with 13 rays symbolize the original thirteen colonies. A sheaf of wheat stands in the foreground as a symbol of agriculture and bounty. Standing next to the wheat is a bundle of 17 arrows representing Ohio's Native Americans and also symbolizing Ohio as the 17th state to enter the Union. 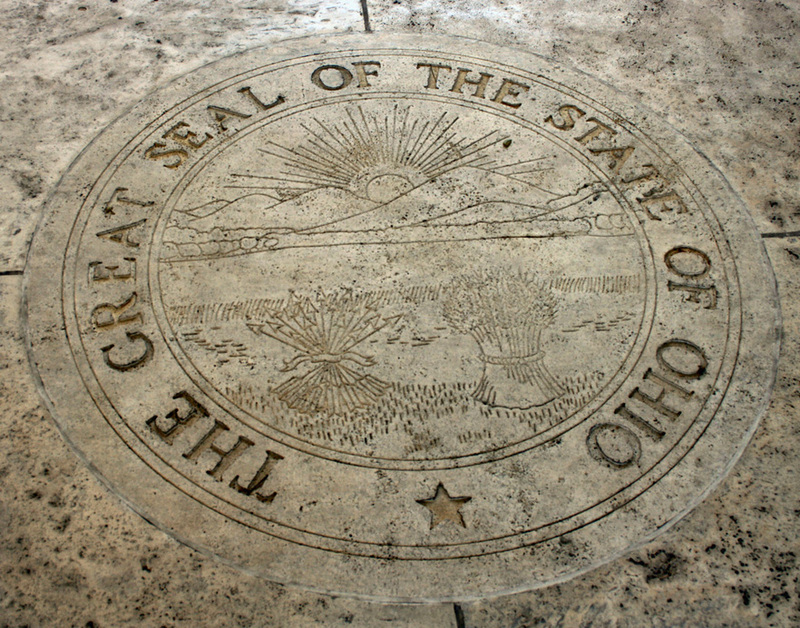 The great seal of the state of Ohio at a memorial site in the Philippines (the floor was covered in state seals); photo by Chris Griffin (Griff69) on Flickr (noncommercial use permitted with attribution / no derivative works).